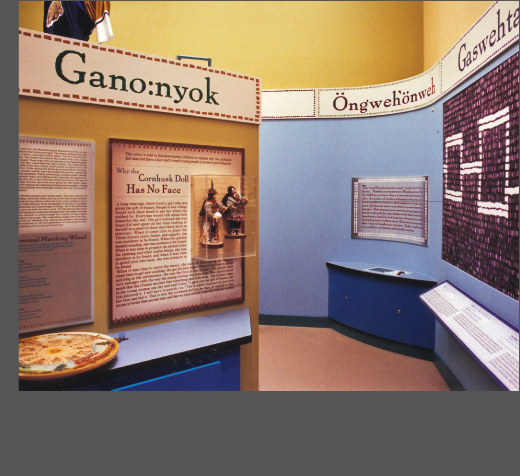 The Educational Discovery Center is designed for visiting families as well as scheduled school group visitors, and features the story of the Haudenosaunee people; their history as well as their present. A variety of interactive exhibits including artifacts from the Museum’s collection lead visitors to deeply explore the resonant messages of this culturally-unique institution. Exhibit A worked closely with Museum curators and educators as well as representatives from the Iroquois nation in the creation of this exploratory exhibition space.